Sooner or later, every writer reaches a point where they feel as if everything has been covered. After a plethora of blog posts, finding new angles to cover can seem impossible. Just because you may have covered everything doesn’t mean that new perspective isn’t possible. 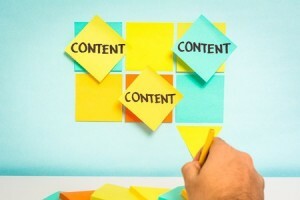 Many people look to the art of repurposing content as one way to overcome these struggles. What exactly is content repurposing and how can it help brands? We’ll review how you can turn old content into something new again and what you’ll need to do in order to make the magic happen. Repurposing content is the act of taking an existing piece of content and making one or more new pieces of content out of it. Likewise, some people may take multiple pieces of content and combine them into one new piece of content for use in blogs, social media and beyond. Whether you choose to divide or combine, there are multiple benefits to both strategies. Ultimately, great content can be delivered by email, ads, search engines or social media. By pinging users with this repurposed content that provides value, you can generate more attention for and interest in your brand without having to grind for fundamentally new ideas. Not all pieces of content are ideal for repurposing. In order to generate the most success from your efforts, you’ll want to do a bit of homework first. Start by looking at the performance of each piece of content you’ve created. By comparing how it performed on your blog, website and social media accounts, you’ll be able to compare various forms of content for recurring themes. You can then combine the most intriguing and likely successful elements to create a top-performing piece of content – all without having to draft up fundamentally new ideas. Ultimately, performance can help you understand not only how to repurpose content, but what ideas and themes are best for focusing on in the future. Various forms of content do better among different audiences. Your Facebook audience may have preferences for content that your mailing list doesn’t necessarily share. When analyzing the characteristics of each audience, be sure to take into account what their preferences are in general. Another element worth considering is whether the repurposed content will perform better among an existing, organic audience or within an audience through paid advertising. Through a combination of these tactics, you can develop a proactive content repurposing marketing strategy that ensures you’re delivering the ideal content to the ideal reader on every occasion. When repurposing content, it’s important to analyze its past performance. When taking the past performance into account, you then need to consider what forms of content perform best on each outlet and platform. Once you’ve factored in performance and the likelihood of a positive reception on a particular platform, you’ll then be prepared to deliver that content in an effective way. Ultimately, repurposing content is easy and can help deliver added value to your brand with minimal work.